Luxurious and exclusive, Puerto Pollensa on the northern coast of Mallorca, is one of the most sought after places in Spain to own a property. Whatever type of property for sale in Puerto Pollensa you are looking for, we'd be delighted to help. We have been based locally in nearby Pollensa town for more than 25 years, so nobody knows the local property market better than our team here at Balearic Properties. So whether you are searching for a luxurious villa with swimming pool, a beachfront penthouse with terrace or a charming front line apartment with sea views, with a little help from us you are sure to find the exact Puerto Pollensa property you are looking for. Take a look below at some of the superb properties we have for sale in Puerto Pollensa right now. Puerto Pollensa (some times known as Port de Pollenca) on Mallorca's northern coast, is one of the most desirable addresses in Europe. Fact. With its lovely long sandy beach, crystal-clear waters, internationally renowned restaurants and designer shops, Puerto Pollensa is a fabulous place to own your dream Mallorcan property. And with the beautiful Tramuntana mountains acting as a romantic backdrop, Puerto Pollensa is the perfect place to purchase a house or apartment near the beach. Here are some of the best areas to look for family property in Puerto Pollensa. 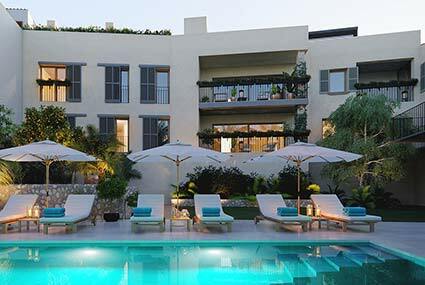 Many residential areas also boast swimming pools, tennis courts, spas and gyms for the actively minded. There are golf courses nearby like Pollensa Golf course or Alcanada. Often considered to be the most exclusive area of Puerto Pollensa, Belleresguard is a fabulous place to own a property. This quiet, peaceful gated community is just a short walk away from Puerto Pollensa's golden beach and famous 'Pinewalk' promenade. Puerto Pollensa's Pinewalk is famous for its beauty and exclusivity. Enjoy a stunning walk along the pine tree clad promenade and take in the beautiful Mediterranean coastal views. You'll find some fabulous frontline apartments for sale here, most with gorgeous sea views. With superb restaurants and bars plus friendly local shops, Pinewalk is a lovely place to own a Mallorcan property. Gotmar is one of Puerto Pollensa's exclusive residential areas of privately-owned properties. It's pretty, it's pleasant, it's peaceful. Properties here tend to be rather upmarket, many located on steep hills overlooking the bay and mountains. And with just a short walk to the town centre and lovely beach, it really is a special place to own a luxury villa or apartment. Llenaire stretches parallel to the front line of Puerto Pollensa and is a very quiet residential area. Stylish and upmarket, you can enjoy a pleasant walk into town for a meal or drink. You'll find some lovely villas and apartments for sale here. Siller (not to be confused with the west Mallorcan town of Soller) is a quiet residential area on the outskirts of Puerto Pollensa's town centre. You'll find lots of beautiful modern villas here, many with swimming pools. A popular place to own a property. Looking for a property in Mallorca? Whether it's a delightful property with a sea view in Puerto Pollensa, a charming townhouse in Pollensa town, an exquisite apartment in Palma old town, or a luxury villa with pool in Andratx, Soller or Deia, we are here to help. With more than 1,400 properties on our books, Balearic Properties is the leading real estate agency in Mallorca. 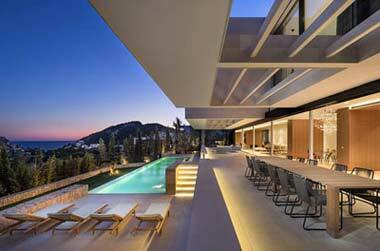 Indeed, we are proud to offer the most exclusive portfolio of properties for sale in Mallorca. We provide a range of first-class professional services from our four real estate offices based around the island. Call in and see us! 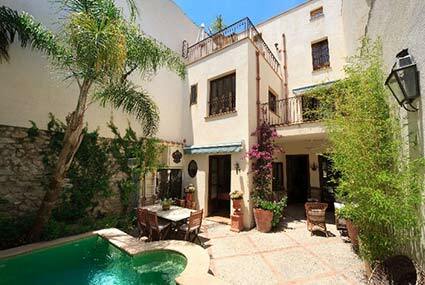 Balearic Properties' main office is situated in the heart of Pollensa old town. We have an extensive range of properties for sale for you to browse at. 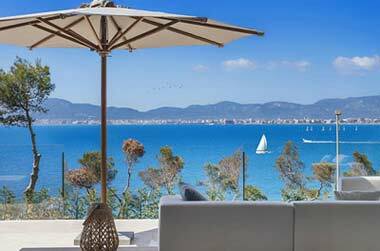 From luxurious villas and townhouses with beach or mountain views, to charming apartments and exciting renovation projects, we are your one-stop shop for property for sale in Mallorca. Feel free to pop in for a friendly, no-obligation chat if you are in the area. Alternatively, give us a call today on +34 971 53 22 21 and our highly experienced, multi-lingual team will be happy to show you our extensive range of property for sale in Puerto Pollensa and surrounding areas. Interested in a renovation project in Puerto Pollensa? The good news is we work in conjunction with LF91, our professional project management company, to help you every step of the way. LF91 offers an extensive range of renovation project management services to help you realise your dream. 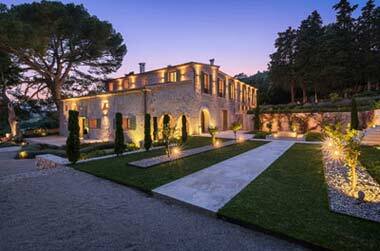 Like to see some of our recently completed renovation projects in the North of Mallorca? Please click here. Balearic Properties , your dedicated real estate agent in Puerto Pollensa.